Wonder is the story of a ten-year-old boy named August “Auggie” Pullman. Auggie was born with a facial deformity. He has been home-schooled until now. He is going into the fifth grade and his parents decide that it is time for him to attend school. He feels he is being taken away from his comfort zone and thrown into a world that he has been hiding from. Now he has to convince his new classmates that underneath it all, he is an ordinary kid just like them. I listened to the audiobook with my child and we were both drawn in immediately. Auggie narrates part of the book and goes into great detail about how he feels about going to a new school and the challenges of making new friends. Later in the book different characters are brought in to show their perspective to the same situations. I was awestruck at how closely Palacio made this a true to life situation. It was easy for my child and I to have lengthy discussions about the different characters and talk about how we related to how they acted or how they felt. This book really pulled at my heartstrings. There are many values that are displayed throughout the story that we can all learn from. I highly recommend reading, or listening, to this wonderful story especially if you have a child to share it with. You can also check out Kelly’s review of this book. Leaving Time is about a young girl named Jenna Metcalf who has been searching for her mother, Alice, for over a decade. Alice disappeared the same night as the tragic death of one of her colleagues. Jenna is determined to find the answer to a question that has been haunting her; was her mother taken away by force or did she choose to leave? Her mother was a research scientist who studied elephants. When she disappeared she left behind her research notes. Jenna is poring over the notes in hopes to find some clues as to why her mother vanished. She eventually realizes that she is going to need help and she looks to two unlikely people. First is Serenity Jones, a psychic that used to help with searching for missing people. The second is Virgil Stanhope who turns out to be the detective that investigated Alice’s case that was linked to the death of her colleague. Leaving Time is a very interesting and poignant story that focuses a lot on the maternal bond between elephants as well as humans. The characters were well developed and Picoult fine tunes the details so it is very easy to picture the characters and the setting ; it’s as if you were actually a part of the story. This turned out to be a pretty entertaining mystery. It is clever how Picoult intertwines the clues so that when you think you might have it figured out, the plot thickens! Great read! “Gift” is an important concept in sociology and anthropology. This idea, dealing with the way that gift giving and exchange function in societies, has been extended and applied to the field of philosophy. The theme has been picked up in recent years by theologians as well. In Gift and the Unity of Being, Antonio López employs “gift” in his broad ranging re-articulation of traditional Catholic theology. López interacts with ancient and contemporary philosophers and theologians to examine how the understanding of being as a gift can reveal the unity of the natural and the supernatural. This is a dense book, and it took me a long time to get through. However, it was well worth the effort. I think I’ll be reflecting on its themes for quite a while. As a devoted Top Chef fan there was no question that I’d be finding the time to read Padma’s memoir. It wasn’t quite as food-focused as you might think, though it’s clear that food has always played a pretty central role in her life. In this memoir Padma opens up about her family, her love life, and the joyful surprise she received when becoming pregnant with her daughter, Krishna. 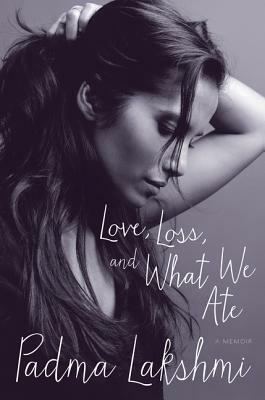 The whole time I was reading this book I heard Padma’s voice in my head – I think that if I had listened to the audiobook I would have enjoyed the book as much if not more. She has a very specific cadence and tone so maybe I’m just partial to it after hearing it for so long… Regardless, I appreciated that she actually wrote this book. I hadn’t realized she had written articles for magazines prior to this publication. I knew she’d authored a few cookbooks, but that’s a very different writing experience. I think I was most eager to learn about her love life since she had been married to Salman Rushdie. It was somewhat surprising to learn that she has (and makes a point of acknowledging it in the book) something of a father complex when it comes to the men she’s drawn to. The two main loves of her life both happened to be significantly older than her. Combine that with the surprise pregnancy and not initially knowing who the father was… I came away from this book knowing a lot more than I’d bargained for. That being said, I found her writing style to be relatable and I finished the book feeling like I knew and liked her a lot more than I thought I would. I definitely recommend this book, but I think you’ll appreciate it a lot more if you’re already a Padma/Top Chef fan. And I realize I left out a substantial part of the book which was Padma addressing her battle with endometriosis. That’s a central aspect of the book and her life and she’s made a concerted effort to raise awareness about it. Comics · Fiction · Graphic Novel · Kelly M · Mystery · Quick Read! 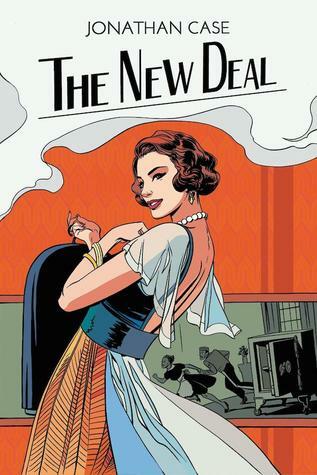 The New Deal is a graphic novel set in New York City in the 1930s. Frank and Theresa are a bellhop and maid, respectively, at the Waldorf Astoria Hotel. Their relationships with the hotel guests are explored, as Frank owes a gambling debt to a rich patron of the hotel, and Theresa provides extra service to a female socialite. When another wealthy woman’s dog’s gemstone collar goes missing, Frank and Theresa become suspects. The story follows the different characters as they investigate the truth about this and other thefts. The interesting story is complemented by excellent illustrations. I highly recommend this book for an engaging, quick read. 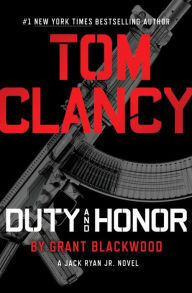 Tom Clancy: Duty and Honor by Grant Blackwood is the next book in the Jack Ryan Jr. Novel series. Jack Ryan Jr. has been temporarily suspended from the intelligence group where he works called the Campus. Jack is trying to decide his future when suddenly someone attempts to kill him. Jack decides to strike out on his own to find his would-be killer and the motive for the assassination attempt. Jack’s investigation takes him to Europe. Jack picks up a couple of unlikely allies along the way. I read mixed reviews about this book. I enjoyed it, but I had to just ignore any practical questions that I had about the plot. For example, Jack jets off to Europe to follow his would-be assassins. He is currently not working. He is footing the bill for the travel, hotels, food, weapons, and the expenses of one of his allies. Where is Jack getting the money? He must have a nice nest egg. Tom Clancy: Duty and Honor was easier to follow than most of the novels that bear Tom Clancy’s name. Most of the novels involve juggling multiple plots and multiple characters. There didn’t seem to be as much juggling in the novel. I look forward to reading the next Jack Ryan Jr. Novel. 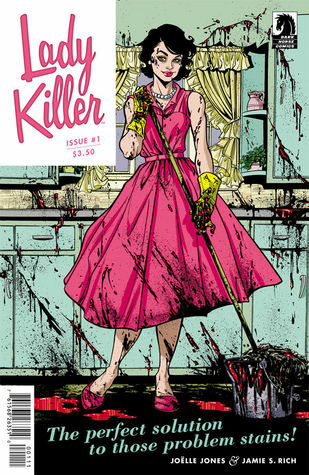 Lady Killer is the story of Josie, a 1960s housewife who seems to have the perfect life taking care of her young daughter and preparing her husband’s dinner each night when he gets home from work. Josie’s mother-in-law becomes suspicious that she’s having an affair when she sees her meeting with a strange man on multiple occasions. Josie isn’t having an affair though—she’s a paid assassin! There is plenty of action and gore in this well-drawn graphic novel as she stabs and chokes her victims to death. When Josie’s employer becomes suspicious of her loyalty, she becomes the target. I highly recommend this book to fans of horror films and black comedies.